Produces foam which aids in removal of food debris. Leaves a pleasant and fresh taste in mouth. Plaque is a biofilm which is a complex matrix embedded in huge colonies of bacteria. This has to be mechanically dislodged to make the tooth surface free of microbes. Usually plaque re-grows within 2 hrs of cleaning. Most of the toothpastes contain Triclosan as an antibacterial agent. Tooth brushing allows this Triclosan+ copolymer to gain access to residual bacteria to exert antibacterial effect.Triclosan is retained by adherence to polymer attached to the tooth and mucosal surfaces. 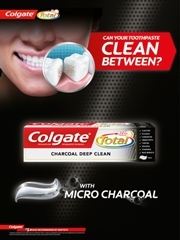 An everyday toothpaste with 12 hour anti-bacterial activity contains a unique, patented combination of triclosan, an anti- bacterial agent and copolymer. After the plaque has been disrupted through effective brushing, triclosan is retained on the tooth surface by the copolymer, where it can help prevent the plaque from reforming for up to 12 hours. The copolymer ensures the delivery and retention of triclosan on the surface of the teeth and gums. 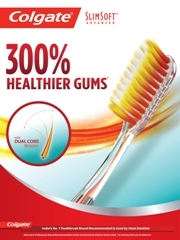 Works to reduce gingival inflammation in 2 ways, 12 hour anti-bacterial protection and anti- inflammatory action. Works for up to 12 hours to help prevent bacterial plaque formation. Up to 98% plaque reduction and up to 88% reduction in gingival bleeding .Clinically proven to reduce the progression of periodontitis. Contains Sodium Fluoride (1450ppm F) Protects against caries. Tooth sensitivity is tooth discomfort in one or more teeth that is triggered by hot, cold, sweet or sour foods and drinks, or even by breathing cold air. The pain can be sharp, sudden and shoot deep into the nerve endings of the teeth. Tooth sensitivity occurs when the underlying layer of your teeth - the dentin, becomes exposed as a result of receding gum tissue (the protective blanket that covers the tooth roots). The roots, which are not covered by hard enamel, contain thousands of tiny tubules leading to the tooth's nerve center (the pulp). These dentinal tubules (or channels) allow the stimuli - for example, hot, cold or sweet food - to reach the nerve in tooth, which results in pain. Brushing too hard: Over time, brushing too hard or using a hard-bristled toothbrush can wear down enamel and cause the dentin to be exposed and also cause recession of the gums. Recession of the gums: As gums move away from a tooth due to conditions such as periodontal disease, the root surface becomes exposed. Gum disease (gingivitis): Inflamed and sore gum tissue may cause sensitivity due to the loss of supporting ligaments, which exposes the root surface that leads directly to the nerve of the tooth. Cracked teeth: Chipped or broken teeth may fill with bacteria from plaque and enter the pulp causing inflammation. Teeth grinding: Grinding or clenching teeth may wear down the enamel and expose underlying dentin. Tooth whitening products or toothpaste with baking soda and peroxide are major contributors to teeth sensitivity. 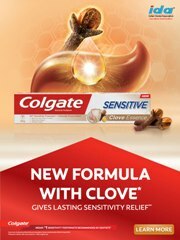 Age: Tooth sensitivity is highest between the ages of 25 and 30. Plaque build-up: The presence of plaque on the root surfaces can cause sensitivity. Mouthwash use: Long-term use of some over-the-counter mouthwashes which contain acids, can worsen tooth sensitivity if you have exposed dentin (the middle layer of the tooth). The acids further damage the dentin layer of the tooth. If you have dentin sensitivity, ask your dentist about the use of a neutral fluoride solution. Acidic foods: Regular consumption of foods with a high acid content, such as citrus fruits, tomatoes, pickles and tea, can cause enamel erosion. Recent routine dental procedures: Sensitivity can occur as a result of teeth cleaning, root planning, crown placement and tooth restoration. 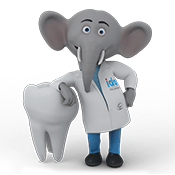 Sensitivity caused by dental procedures is temporary, usually disappears in 4 to 6 weeks. 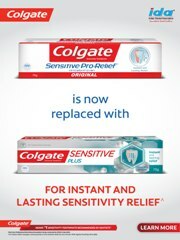 There are many brands of toothpaste made to help ease the pain of sensitive teeth. The toothpaste should be used twice a day to brush teeth. It can also be rubbed onto the sensitive areas. These toothpastes can take anything from a few days to several weeks to take effect. Potassium Nitrate: Relief from sensitivity by desensitizing nerves. Copolymer / Pyrophosphate: Anti-calculus benefits. There are toothpastes which claim to remove stains. They sometimes contain bicarbonate of soda which help to remove any staining and dental plaque. These are often referred to as whitening toothpastes. It is important to realize that such toothpastes will only remove staining and will not change the natural colour of teeth. These toothpastes clean and remove surface stains so teeth look and feel clean and smooth. Provides a long-lasting smooth, clean and fresh feel. As with all fluoride toothpastes, keep out of the reach of children under 6 years of age. Incase of accidental swallow of more than used for brushing, seek professional assistance or contact a Poison Control Center immediately. Most toothpaste now contain fluoride. Fluoride toothpaste is very effective in preventing tooth decay. The amount of fluoride in toothpaste is usually enough to lessen the level of decay. In areas where the water supply is fluoridated, fluoride toothpaste gives extra protection. Increasing fluoride uptake of enamel. The retention of fluoride in the mouth after application of these dental products may be associated with an oral fluoride reservoir. Such a reservoir may serve as a store for fluoride which releases its contents into saliva and thereby potentially maintains a degree of protection against caries. Studies have shown people who brush twice a day with either 100ppm fluoride,1500ppm, 2500ppm have significantly less caries than people who brush once per day using same formulations or less. A pea size toothpaste is recommemded for daily use. Apply at least a 1-inch strip of the product onto a soft bristle toothbrush. Brush teeth thoroughly for at least 1 minute twice a day (morning and evening) or as recommended by a dentist or physician. Make sure to brush all sensitive areas of the teeth. 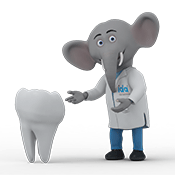 Children under 12 years, consult a dentist or physician.